How Many Sets & Reps Build Big Muscles? Muscles grow in response to stress from heavy resistance training. The way you structure your heavy lifting sessions in terms of reps and sets can determine whether you significantly increase the visible size of your muscles or experience an improvement in power and strength. When your goal is muscle hypertrophy, or growth, aim for multiple sets of eight to 12 repetitions of at least one exercise for every major muscle group. All the sets and repetitions in the world won't help you gain visible muscle mass if you are lifting the incorrect amount of weight. Aim to heave between 80 and 85 percent of your one-repetition maximum weight for each exercise. Say, for example, you can bench 150 pounds one time only. You then want to set your press at 120 to 127 pounds for your eight to 12 repetitions. Every four to six weeks, test your one-repetition maximum and adjust upwards as you gain strength. 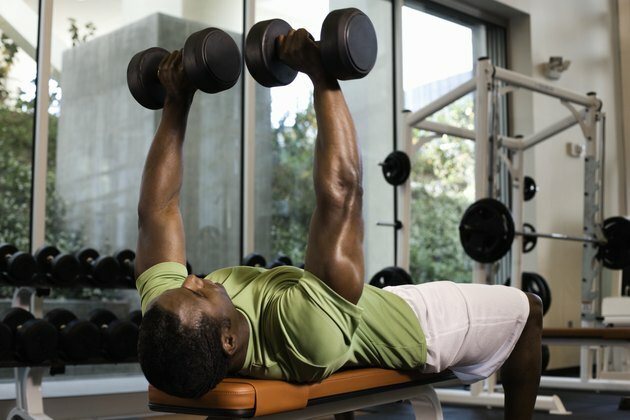 When you can lift more than 12 repetitions, increase the weight by 2 to 10 percent. If you keep lifting the same weight for months on end, you'll never see noticeable results. Size is best achieved by lifting a relatively high volume of heavy weights, asserts the American College of Sports Medicine. In each set, you want to perform eight to 12 repetitions. 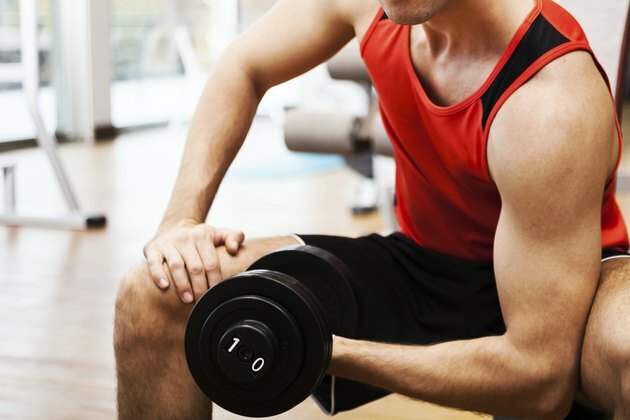 Greater than 12 repetitions builds endurance, the number of times your body can lift a weight, while fewer repetitions -- with heavier weights -- builds power, essential for athletes. 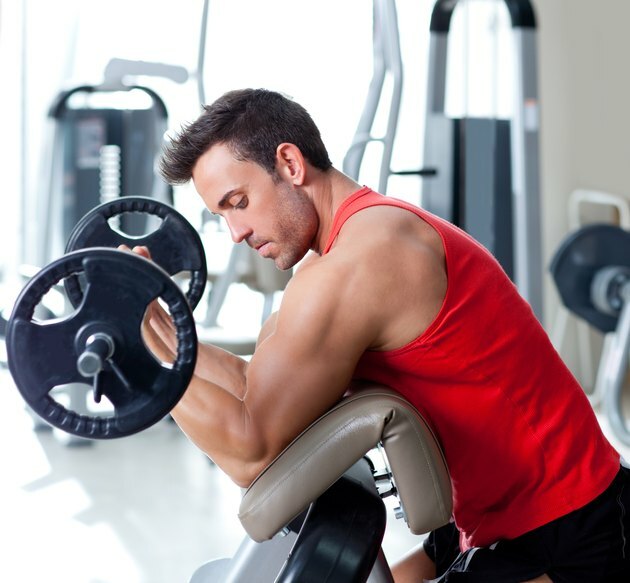 A total of three to six sets best promotes muscle hypertrophy. A meta-analysis published in the April 2010 issue of the "Journal of Strength and Conditioning Research" concluded that multiple sets correlate with a 40-percent increase in effectiveness in promoting muscle growth. You should change your workout every four to six weeks, and altering the number of sets is one way to do this. For one four-week training cycle, for example, you might do just three sets of eight to 12 exercises for each muscle group, while on the next four-week training cycle, move up to five sets. How long you rest between sets also influences muscle growth. In 2009, "Sports Medicine" published a review that showed that resting 30 to 60 seconds between sets leads to high levels of growth hormone and thus may bring about greater enhancements in muscular size. Longer rests promote strength while shorter rests promote endurance. Changes in muscle size take weeks or months to manifest. 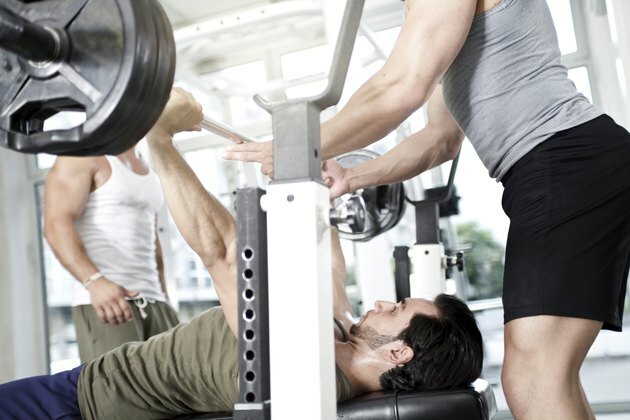 You'll need to consistently hit the weights three to five times per week to achieve success. Remember to leave 48 hours between sessions for each muscle group; rest is the time that the muscle fibers repair and increase in size. 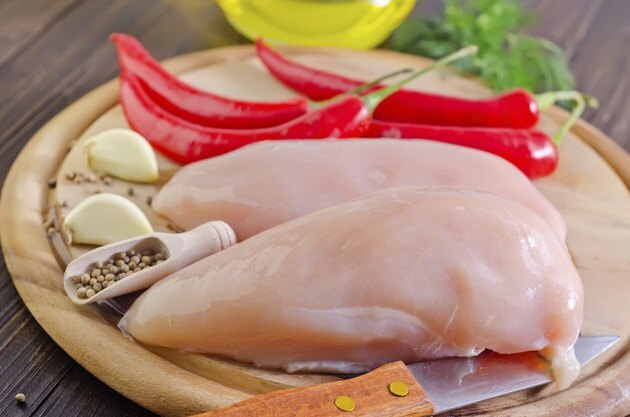 A diet that includes a calorie surplus, adequate protein and ample water also promotes muscle growth. Getting seven to nine hours of sleep per night can further promote muscle gains. The Best Shoulder Exercises: How Many Reps & Sets?